I’m standing at the front desk of a nice hotel in Baltimore. The front desk clerk is having a problem with my reservation. I wondered if it was because I had literally just booked the reservation 45 minutes prior, just as I got into my rental car at the airport. I told the hotel employee that perhaps my very recent booking was the problem. I was eager to get into my room and rest up for a week of full-day training sessions. His suggestion sounded good to me. That is, until, a couple of months later when checking my hotels.com account, I get a message stating that my 6-night hotel stay in Baltimore had been removed from my Rewards Account and that I would not get credit for that stay. The primary reason I use hotels.com is for the rewards. I travel a lot. It takes 10 hotel stays to earn a free hotel night. In June I received two free hotel nights and used both of those nights for get-aways with my husband. I travel a lot. Now, hotels.com is telling me that because they couldn’t help my hotel in Baltimore sort out a problem, they are removing my earned rewards? Using hotels.com as the perfect example, I will walk you through 3 Ways Your Employees Are Killing Your Customer Experience. Trying to get my deserved hotel rewards, I called hotels.com. I spoke with an unhelpful employee who put me on hold 3 times and ultimately told me there was nothing he could do. I asked to speak to a manager, who also said there was nothing she could do. Finally, after my pleading, the manager had me email her everything I’d just explained over the phone to two people. I hung up and typed a quick, but thorough email. There was no reply to my email. Thirty days later I emailed again. Nothing. The hotels.com employees made my experience difficult. Speaking with 2 employees, lengthy hold times, two emails that were not even responded to, made the experience bad. From the customer’s perspective, we’re just trying to solve a problem. When your employees are incapable of resolving problems on the first contact or functionally unable to even reply to customers who reach out through various communication channels, you have a big problem. The employee I spoke with — and the manager, both came across as unhelpful, apathetic and unwilling. Poor service from employees kills your business. Period. Now, I should point out that the value of a free hotel night is about $114. We’re not talking big bucks here. For me, it became a matter of principle. I didn’t cancel my hotel reservation. The hotel canceled my reservation, and the hotel canceled my reservation because they couldn’t get help from their business partner, hotels.com. Some months I am literally in a hotel 5-15 nights. (I’m typing this post on my hotel bed, on night 5 of a hotel stay in a 2-city business trip.) I don’t know how much Hotels.com actually makes per hotel stay, but I would think I’d be a customer they’d want to keep. Seems to me it would be wiser to just give a client the earned hotel nights, when said customer made the reservation correctly, stayed in the hotel and suffered an administrative error – and move on. But instead, they’d rather fight with me. I left the dogfight. I canceled my hotels.com account, and for the 3 business trips and the fun family trip I have planned for this month, I went old school. I booked through the hotels directly. Customers just want their problems solved. Make it easy for customers to resolve their problems, stop fighting over small stuff with their clients, and for goodness sake, give your employees the soft skills they need to be friendly and helpful. It’s easy to get the help you need for a great customer recovery. 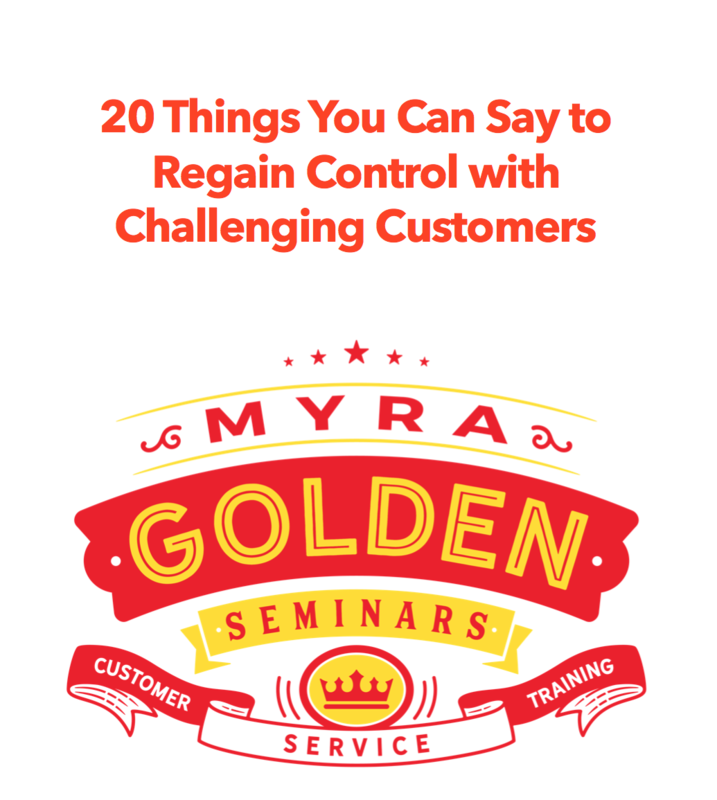 Have your employees take my Customer Recovery course, which is part of my Customer Service eLearning suite.